Ghana Oil Company Limited (GOIL) was incorporated as a private limited liability company on June 14, 1960 as AGIP Ghana Company Limited. The shareholders were AGIP SPA of Italy and SNAM SPA. In 1974, the Government of Ghana acquired the shares of AGIP SPA and Hydrocarbons International Holdings in AGIP Ghana Company Limited and by a special resolution in 1976, changed the name of the company to Ghana Oil Company Limited (GOIL). 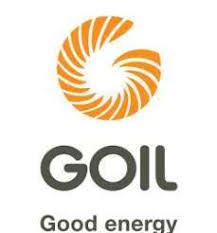 GOIL was converted into a public company in August 2007. In 2012, GOIL underwent a major rebranding exercise to position the company to play its role as an emerging national oil marketing giant. The rebranding involved the changing of the company’s corporate logo, adoption of a new slogan – ‘Good energy’ -, complete facelifting and revamping of existing stations, as well as expansion of service stations. GOIL is the leading Oil Marketing Company (OMC) in the retail sector while its subsidiary, GOenergy, a Bulk Distribution Company (BDC), is the market leader in the bulk distribution supply chain. • To market quality petroleum and other energy products and services in an ethical, healthy, safe, environmentally friendly and socially responsible manner. • To produce and manufacture goods or provide services which enhance or support the marketing, distribution and sale of the company’s products and services. • To be a world-class provider of goods and services in the petroleum and other areas of the energy industry. GOIL was listed on the Ghana Stock Exchange in 2007 following a major restructuring. The company has one of the best performing shares on the Ghana Bourse. Some products and services of GOIL are mainly fuel retailing, supply of aviation fuel, the sale of Marine Gas Oil (MGO) to ships and vessels, retail of Liquefied Petroleum Gas (LPG) and lubricants. GOIL FUEL: GOIL sells premium, quality fuel, super XP and Diesel XP. GOIL fuels are additivated to enhance the quality and efficiency of the product and ensure the longevity of vehicles. GOIL is certified by the International Organisation for Standardisation (ISO). Its first ISO certification was received in 2008. The ISO certification is in line with ensuring quality product delivery and better customer care. GOIL has since been awarded the ISO 9001:2015, Quality Management Systems certification from TÜV Intercert SAAR. The new certification is an endorsement of the company’s commitment towards continual improvement of its business processes based on risk-based thinking and the process approach. GOIL aims at making a difference in the lives of communities. To this end, GOIL’s Corporate Social Responsibility programmes have concentrated on the water and sanitation, health and sports sectors, as well the provision of direct financial support to orphanages, needy institutions and deprived communities. In the last three years for example, GOIL has provided at least 10 boreholes every year to deprived communities, donated over 1,000 beds to hospitals across the country and supported the National Blood Bank with the donation of a vehicle.